See the wonder of science come alive in this fascinating guide to life's greatest questions. Is there really life on other planets? Throughout history, people have invented fascinating stories to explain the world we live in. Have you heard the tale of how the sun hatched out of an emu's egg? Or what about the great catfish that carries the world on its back? Has anyone ever told you that earthquakes are caused by a sneezing giant? These fantastical myths are fun - but what are the real answers to such questions? 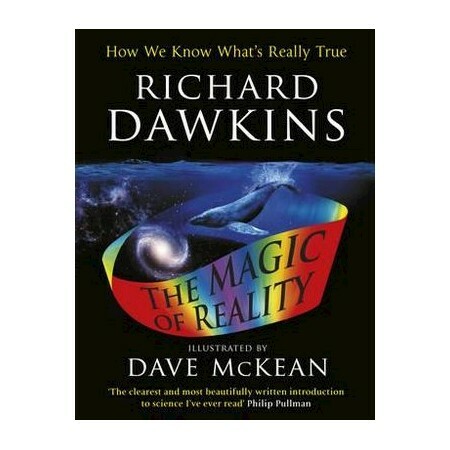 Professor Richard Dawkins has teamed up with renowned illustrator Dave McKean to take you on an amazing journey from atoms to animals, pollination to paranoia, the big bang to the bigger picture. See the wonder of science come alive in this beautifully illustrated guide to the greatest questions on earth - and some of the answers to them.